1977-AR-DST is rated 5.0 out of 5 by 22. What is the minimum hole size in the sink for installation? Can this faucet, installed as a standard cold water faucet, be used in an RO system? Thank you for your question. 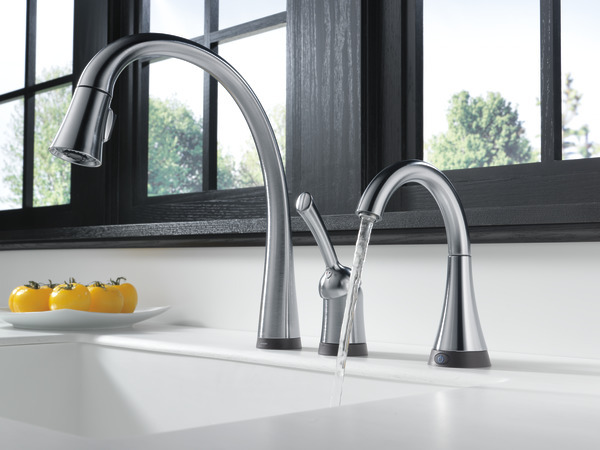 Delta Faucet model # 1977-AR-DST is a cold water beverage faucet that is compatible with an RO filter system. I was going to buy this faucet for just a filtered water dispensor for my bar, but it doesn't come with any under counter filters like some others do. 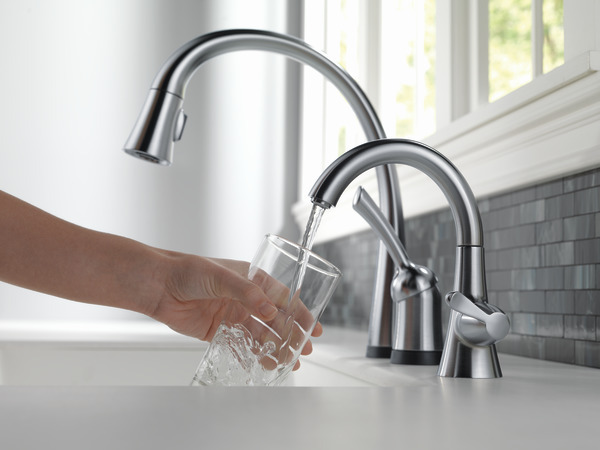 What water filtration systems are compatible? Thank you for your question. Delta Faucet model 1977-AR-DST is compatible with most water filtration systems, including the reverse osmosis systems. 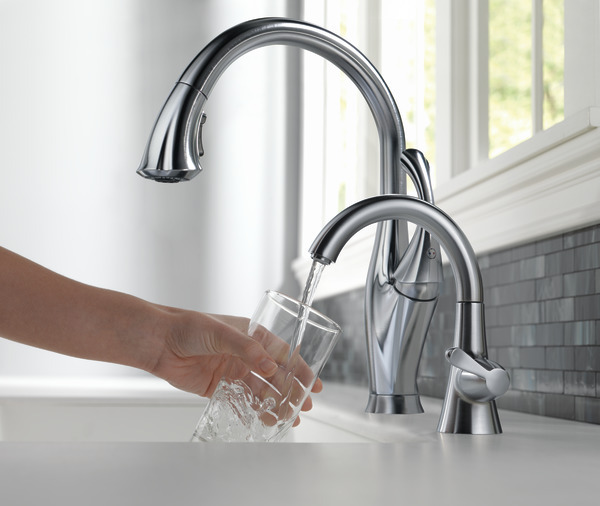 The only thing to check when purchasing a water filtration system is to make sure the fittings are compatible. Is there a recommended filter to go with this faucet? 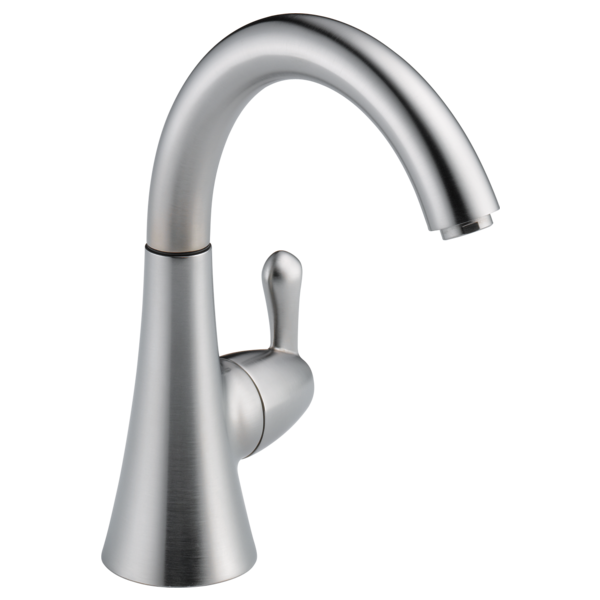 I have a Delta faucet w/ a light indicator w/ the Pur water filatration system under my sink. The light indicator broke and my current unit is now discontinued. The Delta CS Rep said I don't need a water filtration system w/ this new unit b/c it's in the actual unit. I'm confused. How is the water filtered? Do I actually need a system under my sink? If yes, what type of system is compatible? 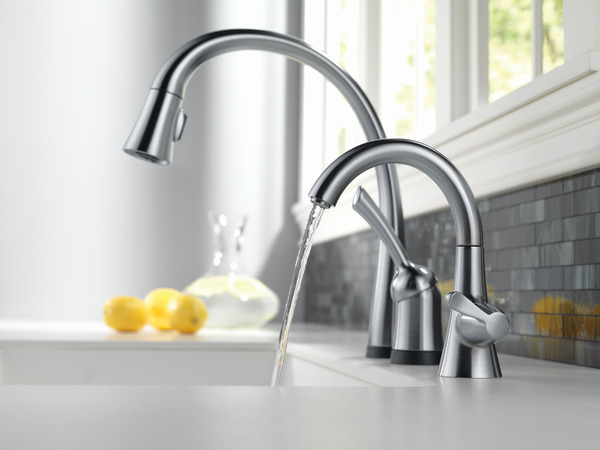 Without a light indicator on the faucet, how do I know when to change a filter? Thank you for your question. 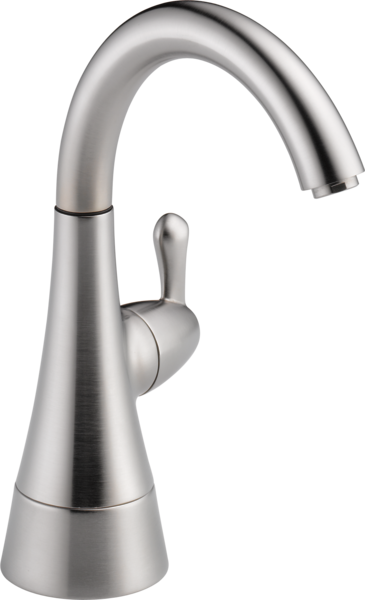 Delta Faucet model # 1977-AR-DST is a cold water only faucet. 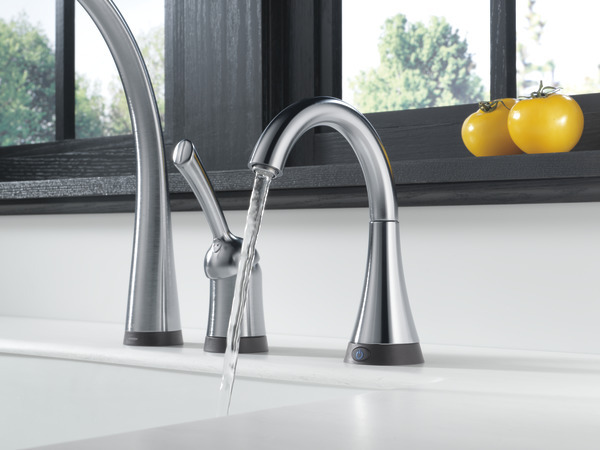 We are sorry but whomever you spoke to about this faucet was incorrect. It does not filter the water. It will need a fitration system hooked up to it if you would like filtered water. Any filtration system will work including reverse osmosis systems. The system will have its own mechanism for telling you when the filter needs to be changed. Can this faucet be hooked up to a portable dishwasher? 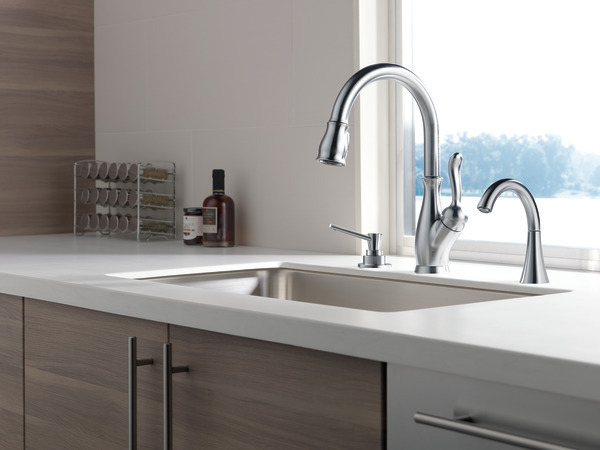 I have a faucet with a pull down sprayer which cannot be hooked up to the portable dishwasher, so we want to install a separate faucet that's only hot water and the dishwasher can be connected to it without a problem. Can this faucet be installed without the air gap feature?